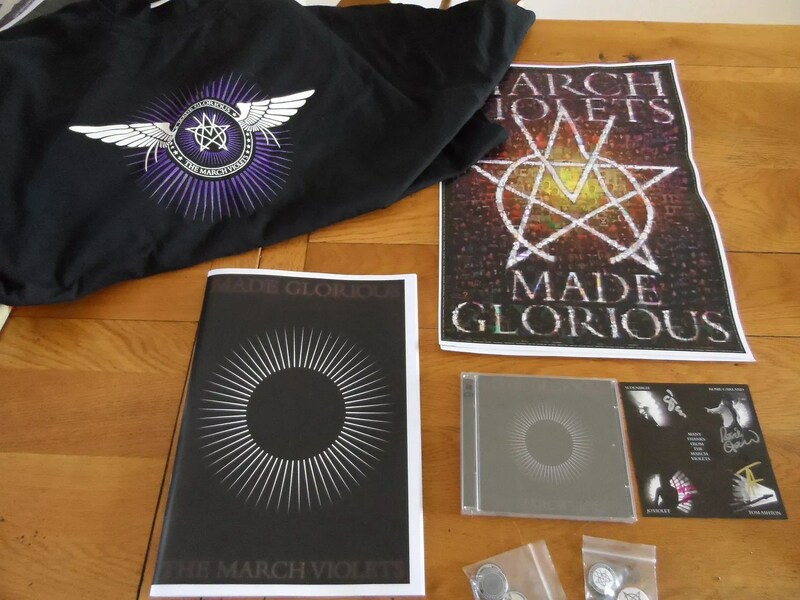 t-shirts, well who could say no to a jaw dropping culty t-shirt* ? booklet, lots of pictures and all the lyrics, why not ? A full list of the remixes is here. Any band that writes a Happy Birthday song for the son of one of their fans has to be respected – and yes it is in typical ‘Violets style. That’s not the only new track either, and several remixes have extra lyrics. The booklet…well Si has obviously spent a lot of time on this one. 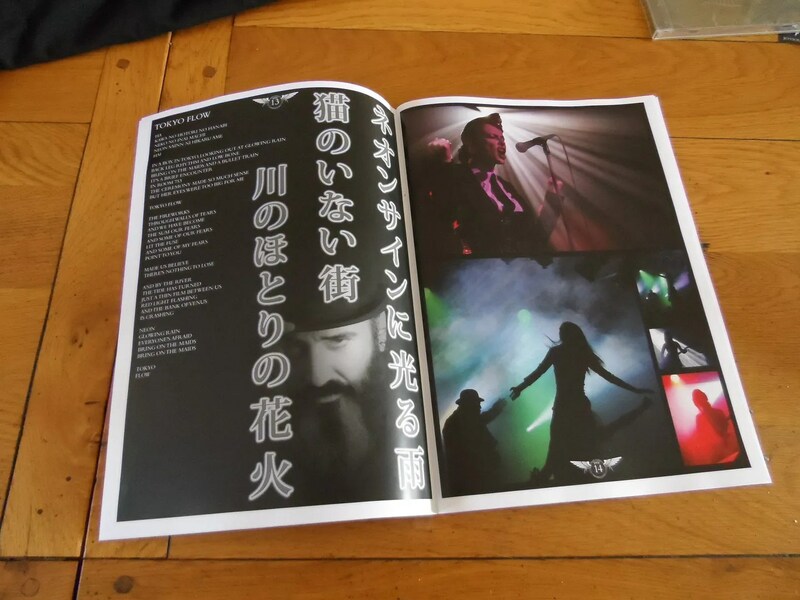 We are treated to all the lyrics, a page for each of the band members (Si, Tom, Rosie and Jo) along with lots of photos and even a painting of Rosie in full on vamp mode (and I must say I like that…dribble). Rosie also fills her page with poetry, alluding to March Violets tracks. Tom has his guitar geek page, and Jo her cat page. Oh, and best of all the text refers to a video of Billion 3. Looking forward to that. Immerse yourself in a film sound track set in a strange punk/goth/disco/dance/rave you can only leave by taking exits from the labyrinth that lead to psychedelic hammer horror films/twilight zone of a dystopian world of environmental, financial and sexual collapse. The album as originally mixed was not a gothic dirge, the remixes are, well, hatstand. Regardless of the style, its the ‘Violets. The extra lyrics and vocals on several tracks are really fitting and make the tracks really good. Given the originals are pretty stonkingly good that’s a hard thing to achieve. What did you want time running backwards ? * And no the cats couldn’t…they spent much of the afternoon curled up hard asleep on the t-shirts even before I’d worn them.